The upgraded Birmingham Stallions were 0-1 as they traveled to Los Angeles to take on the equally winless Express in a United States Football League game on March 4, 1984. 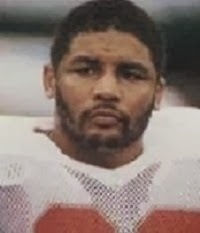 Head Coach Rollie Dotsch’s team was coming off a 9-9 inaugural season, but had added NFL veterans to the roster in the offseason, most notably QB Cliff Stoudt, formerly of the Pittsburgh Steelers, and ex-Bills RB Joe Cribbs. WR Jim Smith also came from the Steelers to bolster the receiving corps. Still, Birmingham lost to the New Jersey Generals in Week 1 by a score of 17-6 at home. The Express, coached by ex-pro quarterback John Hadl, had problems on offense, most notably at quarterback where Tom Ramsey was the starter. Still, WR JoJo Townsell was a promising player out of UCLA and the offensive line featured well-regarded rookie linemen in OT Mark Adickes and G Gary Zimmerman. LA lost to Denver by a 27-10 score in the opening week. There was a typically sparse crowd of 14,789 in attendance at the cavernous Memorial Coliseum. They witnessed a scoreless first quarter. In the early part of the second quarter, and following a shanked punt by the Express deep in their own territory, Birmingham went 38 yards in four plays that ended with FB Leon Perry (pictured above) running for a 29-yard touchdown and Scott Norwood added the extra point. With just under six minutes remaining in the half, LA tied the score. Tom Ramsey connected with TE David Hersey for a 42-yard TD and Tony Zendejas was successful with the PAT. Birmingham came out strong with the first possession of the third quarter. Cliff Stoudt completed a six-play, 87-yard drive with a one-yard run that put the Stallions back in front, with Norwood adding the point after. Along the way, Stoudt had a 13-yard carry and a pass completion to Joe Cribbs that picked up 26 yards. Birmingham utilized a strong ground game along with Stoudt’s judicious passing to take control in the second half. Thirteen seconds into the fourth quarter, the Stallions got what would prove to be the clinching TD when Cribbs ran for a touchdown from 18 yards out and Norwood booted his third extra point. Late in the third quarter, Coach Hadl replaced Ramsey with backup QB Frank Seurer, who provided some excitement. The Express scored on a two-yard carry by RB Kevin Nelson, but a pass to WR Malcolm Moore that reached the Birmingham five was wiped out by a penalty and the home team never again threatened. The Stallions held on to win by a final score of 21-14. The Stallions outgained Los Angeles by 330 yards to 305, with 225 of that total coming on the ground. They also had a 17 to 16 edge in first downs. Each team suffered one turnover. Leon Perry rushed for 93 yards on 13 carries that included a touchdown and Joe Cribbs contributed 81 yards, also on 13 attempts. Cliff Stoudt completed 9 of 17 passes for 142 yards and ran the ball 7 times for 33 yards with one TD. WR Jim Smith was the team’s top receiver with four catches for 64 yards. For the Express, Tom Ramsey was successful on 11 of 25 throws for 126 yards and a TD with one interception before being lifted for Frank Seurer, who was 7 of 17 for 123 yards. Kevin Nelson ran for 50 yards and a touchdown on 20 carries and TE Mike Sherrod was the top receiver with 5 receptions for 51 yards. JoJo Townsell added 48 yards on four catches and WR Anthony Allen gained 52 yards on his two receptions. “It wasn’t pretty, but it was a win and we’re thankful to be leaving here with a ‘W’,” said a relieved Coach Rollie Dotsch. To make matters worse for Los Angeles, Mark Adickes went down with torn knee ligaments, costing him the remainder of the season. Furthermore, Tom Ramsey expressed annoyance at being relieved and Coach Hadl indicated that Seurer might start the next week (which he did), but any quarterback controversy was resolved once rookie Steve Young joined the team a few weeks later. The win ignited the Stallions, who put together a nine-game winning streak before losing to the Philadelphia Stars on May 9. The offense continued to perform well – even when Joe Cribbs left the team due to a contract dispute – and the defense was outstanding against the run. Birmingham was the USFL’s top ground-gaining team (3313 yards) and finished atop the Southern Division with a 14-4 record but, after handily defeating Tampa Bay in the opening playoff round, again fell to the Stars in the Eastern Conference Championship Game. Los Angeles also reached the postseason, performing better on offense once Young took over at quarterback. In the mediocre Pacific Division, the Express placed first with a 10-8 record and unseated the defending-champion Michigan Panthers in an epic overtime win before losing to Arizona in the Western Conference title contest.